Tag Archive | "Stafford Loans"
With the cost of college education higher than ever before, it’s becoming increasingly necessary for more and more students to take out loans to pay for it. Unfortunately, it’s not always quite so easy as simply going up to lenders, telling them you need money, and walking off with a check. You need to meet their eligibility requirements in order to be approved, and these can vary greatly depending on the type of loan you’re trying to get and the lender you’re working with. 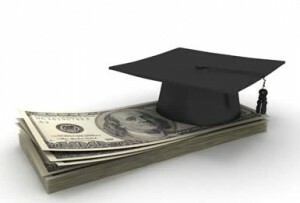 In general, there are two types of higher education loans – government loans and private loans. If you can get them, government loans are almost always the preferable option because the rates tend to be lower, and for many of them your interest will even be covered while you are still attending school. One of the best of these types of loans is the subsidized Stafford loan, which carries with it an ultra-low 3.4% interest rate. But how can you get approved for these amazing loans? It all starts with filling out the FAFSA form, which will determine which federal grants and loans you qualify for. But what does that really mean? You have to show your need. Government loans like the subsidized Stafford loan are generally reserved for those students who have the greatest need (meaning they don’t have even close to the amount of money to pay for their education) and have already exhausted all of the grants available to them. One thing that’s interesting about “need” is that it isn’t just based on the family’s income, but also the cost of the university the student will be attending. What that means is that if you decide to go to a school that costs more and you don’t have much money, you’ll actually be more likely to get better loans than someone who chooses to go to a less expensive state school. And you’d better not miss deadlines. Federal programs like the Perkins loan have different deadlines at every school, so you really need to do a good job of staying up-to-date with how things work at your university. Otherwise, you might miss the deadline, and if that’s the case you’re going to be out of luck for that year and will likely have to turn to a private lender to pay for your education – that’s where things get more complicated. While private lenders have standards for student loans that are generally more relaxed than those for, say, people wanting to take out a mortgage on a home, there is one notable exception… see next bullet. Unless you have a trust fund (in which case, why are you getting a loan? ), most lenders require student borrowers to have a co-signer for their loans. Typically, this is a parent or guardian who agrees to pay back the amount if their son or daughter is for some reason unable to do so. There are “escape clauses” for parents to get out of this requirement, but often they are harder to meet than they initially seem. Beyond this, most lenders care very little about college-bound kids’ credit history, missed payments, past loan defaults, or current earnings for one very simple reason – they’re believed to have great upside since they are essentially training for their future careers where they will ostensibly be earning a lot more money. Basically, lenders for the most part take the attitude that even college students with past financial difficulties haven’t really begun their adult lives. And, of course, if things don’t quite go according to plan, they’ve always got mom and dad on the hook for the money. Barack Obama declared April to be financial literacy month and one community college in Virginia is taking this declaration very seriously. Tidewater CC is implementing a new approach to how it doles out federal loan dollars to its students. As part of the federal loan program requirements, every student is required to complete an entrance loan counseling session prior to getting a loan. They also must complete an exit loan interview session upon graduation. There is no getting around it – those are the rules. Tidewater officials have decided to expand upon the federally required entrance loan counseling session (which usually consists of some rudimentary questions about interest rates, managing debt, and loan repayment) and require students to also submit a budget of how they plan to repay their loans in addition to other expenses they anticipate accruing along the way. Technically, they have to prepare two budgets – one that reflects repayment of the loans after graduation and another that depicts their plan for repayment if they have to suddenly drop out of college. Once the entrance counseling session is completed and Tidewater’s financial aid office has the required budget documents, they will gladly disburse any and all federal loan dollars in which a student may be eligible to receive. I think is a great educational approach that Tidewater Community College is taking with its students and their federal loans. I can definitely see some pitfalls: administrative burden, just another hurdle for students trying to gain access to education, etc… However, many students go through the motions of securing federal (and private) education loans and never give it a second thought of what the ramifications will be for them once they have to enter into repayment. As total student loan debt surpasses credit card debt in our nation, financial literacy processes such as Tidewater’s are probably going to be more common among college campuses that are looking to provide a solid financial awareness foundation for their students (and future alumni). 1) Grants – money that does not have to be repaid unless you withdraw from school and owe a refund. 2) Work-Study – money the student earns through part-time employment to pay for educational costs. 3) Loans – money borrowed, in this case from the federal government via the school, which must be repaid with interest. 1) Federal Perkins Loan – is a need-based loan (FAFSA application required) and is awarded on a first-come, first-served basis. Each eligible institution receives a set amount of money to be distributed through the Perkins Loan program. If qualifying parameters are met (those who qualify for the Perkins loan additionally generally also meet Pell Grant qualifications), the money is distributed to eligible students. Once this money has been awarded for the academic year, additional funding is not available until the next financial aid application period. 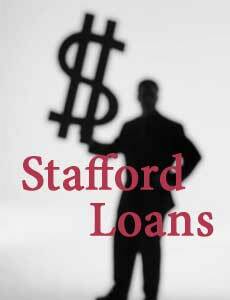 2) Stafford Loans – this type of loan is taken out in the student’s name only and is the responsibility of the student. In order to be considered for this loan the FAFSA application must be submitted. Be sure to meet your school’s application deadline for consideration! 3) Federal Parent Loan for Undergraduate Students or PLUS Loans – is a loan taken out by the parent to assist an eligible student with higher education costs. The parent (borrower) must pass a credit check and have no adverse credit history. 4) Consolidation Loans – combines eligible federal loans into one convenient payment. I think it’s safe to say that our government is on a dizzying pace with the remaking of America. From controlling banks and car companies to establishing eco-friendly policies and instituting an antiquated European style of health care, change is being served up on all of our plates. The Department of Education (DOE) is no exception to the rule. From simplifying the FAFSA, to eliminating the FFEL program, the DOE has a new menu filled with feel-good, down-home cookin barbecued in change. This article’s intention is to give you a taste of the Stafford Loan Program – soon being served exclusively (July 1st, 2010) through the Federal Direct Loan program via the DOE. The article is an appetizing look at the ins and outs of fees, interest rates and potential deductions, eligibility, how the money is disbursed, rebates, forgiveness and loan limits that just might have you seeing more green. And this menu doesn’t just appeal to undergraduate appetites; graduate students are invited to the BBQ too! So be sure to fill up by reading this educational article. Subsidized – if your child is awarded a subsidized Stafford Loan, the cherry on top of this option is that the Department of Education cheerfully pays your interest while your child is in school, during the deferment period and through any grace period. Payment on these loans begins six months after the student has graduated or left school. A subsidized Stafford is awarded based upon financial need. FAFSA application is required in order for potential participation. Unsubsidized – a Stafford awarded in this manner places the responsibility of interest payments directly on the borrower from day one, which certainly makes this the less sweet federal financial aid loan flavor. While the student is in school, interest payments may be waived and added on to the principle of the loan. This is referred to as “Interest Capitalization” and ultimately increases the size and cost of the loan. An unsubsidized Stafford in not based upon financial need and can be considered an entitlement available to all students. However, the FAFSA application still must be submitted in order to receive this loan. Insurance Premium Fee – this fee is levied at 1% of the loan amount for the corresponding disbursement period and is used to assist with “writing off” bad loans. Origination Fee – the origination fee for the 2009-2010 is ½%. Fortunately, the origination fee will be eliminated starting in the 2010-2011 academic year. Therefore, using the fee structure above and assuming your child is awarded a $5,500 Stafford loan after June 30th, 2010, the actual amount available for your use would be somewhere in the neighborhood of $5,445.00. *If parents are unable to qualify for a PLUS Loan and your child is a dependent/independent student in her undergraduate years, she may be eligible for these additional unsubsidized student loans. Bear in mind that independent students, depending on applicable circumstances, may automatically be eligible or considered for the additional loan money associated with dependent students whose parents do not qualify for the PLUS loan. The subsidized rate is currently scheduled to increase to 6.8% after 7/1/12. If the student meets qualifying income parameters established by the IRS, interest paid by the student on these loans should qualify for the Student Loan Interest Deduction. Keep in mind that this loan is between the DOE and the student, therefore, the student is only eligible to take this deduction. 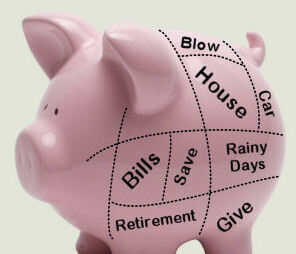 So be sure to consult with your qualified tax advisor to discuss how this applies to your specific situation. Money from a Stafford Loan may never even end up in your hands. That’s because Stafford Loans are disbursed by the Department of Education directly to your school generally in the beginning of the fall and winter semesters. The school uses the money to pay tuition, fees and related expenses on your behalf. If money is left over, they may either credit your account or send you a refund. In order to be considered for the Stafford Loan program, your college must participate in the federal financial aid system via the Direct Loan program. If your school uses the FAFSA, then your school is an eligible institution. Additionally, since different loan amounts and potentially different interest rates are available based upon your child’s school year, you must submit the FAFSA every year that consideration is desired. Must be a half-time student working towards a degree or certificate. Be a U.S. citizen or an eligible noncitizen (check with your institution) with a valid Social Security number. Maintain satisfactory academic progress. Be sure to check with your financial aid office on a yearly basis to determine what constitutes “satisfactory progress” to ensure that you maintain your Stafford funding. If you are a male between the ages of 18 and 25, you must be registered with the Selective Service (this can be done automatically using the FAFSA). Meet other requirements set by the individual state and approved by the Dept. of Education. As with all loans, there comes a time when you must repay a Stafford Loan. Fortunately, the federal government offers several repayment options. Generally, the loan term is 10 years, depending on the option chosen, with no pre-payment penalty. There are several repayment plans available depending on the student’s situation and whether the loan is eligible for consolidation. Since the repayment formulas were developed by the government which, as I am sure you know by now, throws simplicity out the window, explanation of these repayment options is beyond the scope of this article. Therefore, we recommend consultation with your qualified advisor to determine which repayment schedule is in your best interest. Automatic Payment Discount – Based upon the repayment plan you select and whether you decide to have your payments automatically debited from your bank account, your servicing agent may offer a .25 percent discount for these automatic payments. Make sure you check with your agent to see if you qualify for this benefit. Both Stafford Loans (subsidized and unsubsidized) are eligible for consolidation. The consolidation rate is fixed and based on the weighted average of the loans being consolidated. WARNING: If your loan is eligible for forgiveness, discharge, cancellation or interest subsidies, you may lose these benefits by consolidating. I’m not trying to sound like a broken record, but be sure to consult with your team of qualified advisors. Having a hard time keeping track of all those federal loans and grants? Well, the Department of Education has a treat for you! The DOE’s central database for all loans and grants disbursed via Title IV can be found by visiting the National Student Loan Data System or NSLDS. The NSLDS tracks your loans/grants from aid approval, disbursement (either by semester or yearly), balances and status (reflects grace, deferment or payment status). Keep in mind that the although the various agencies who authorized the aid award are responsible for reporting this information to the NSLDS, the balances reflected in your report may be as old as 120 days. If more current information is sought, contacting the loan service agent is recommended. Check out the NSLDS by visiting www.nslds.ed.gov. In certain circumstances, you may be eligible for either loan discharge or loan forgiveness. Sign you up, right? Not so fast, though. Forgiveness and discharge aren’t as easy as signing on a dotted line. Loan discharge refers to a loan that is cancelled based on unpleasant situations such as death, total and permanent disability, or school closure prior to degree completion. Loan forgiveness usually refers to a set amount being forgiven after completion of certain types of community service, such as teaching for a specified time period in a designated elementary or secondary school that serves low income families. Additionally, if you are employed in the public service sector (such as law enforcement and public safety, public healthcare, or if you are in the military), your loan may be forgiven after a specified number of payments. Individuals generally have to make 120 payments and not be in default. The amount forgiven is generally the remaining loan balance and interest charges. Undergrads don’t get to have all of the Stafford Loan fun. Graduate students can also take advantage of the Stafford Loan program by applying for federal financial aid using the FAFSA. However, although the undergraduate and graduate loan programs share many things in common, there are some significant differences. So let’s take a brief look at each for loans issued via the Direct Loan Program, for loans disbursed after 7/1/09 but prior to 7/1/10. Sheesh! Enough is enough, already! 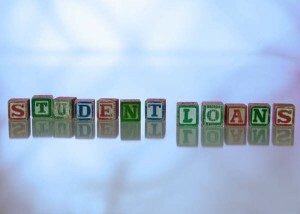 While the Stafford Loan program can certainly be beneficial if loans figure in to your college funding plan, with it comes a fair amount of rules and the federal government’s idea of “simplicity” – yikes! Consider this article your guide to Stafford Loans in a nutshell, albeit a big nutshell (a Brazil nut, perhaps?). But, as always, consult with your financial advisors for the best ways to put Stafford Loans and all of their pros, cons, rebates and restrictions to work for you. The above title is not a misprint. Interest rates on Subsidized Stafford loans are indeed going up. However, they are not going to increase until the academic year of 2012-2013… I would like to take credit for being a fortune teller or having the ability to predict the future but alas the College Cost Reduction and Access Act (CCRAA) of 2007 actually set the interest rates for the Stafford Loan Program years ago. As established by CCRAA, the Subsidized Stafford loan interest rate for this current academic year is set at 5.6%. Next year (2010-2011) the interest rate is on schedule to drop to 4.5%. The rate will reach its all time low during 2011-2012 when it bottoms out at 3.4%. Then, as the title of this article states, the Subsidized Stafford loan interest rate will jump back up to 6.8%. So, what does this mean to students that are taking out Stafford loans to fund their educational expenses? As far as I can tell, it really means nothing other than the fact that if you take a Subsidized Stafford loan each of the 4 years that you attend college, you get to experience the fluctuation (highs and lows) of interest rates over those years. However, if you are the recipient of an unsubsidized Stafford loan (interest accrues while in school), you can take solace in knowing that your interest rate has remained constant at 6.8%. Which really isn’t much comfort given the rate.